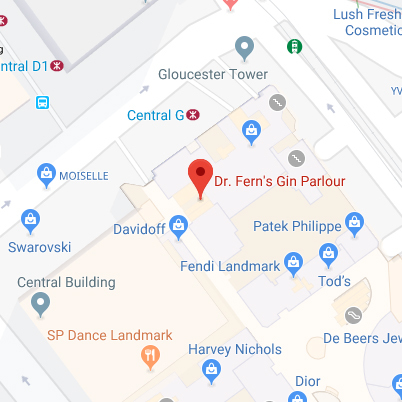 Dr. Fern's is a cool speakeasy gin parlour showcasing premium gins with expertly made cocktails and the biggest gin collection with over 250 gins from around the world located in Landmark, Central. 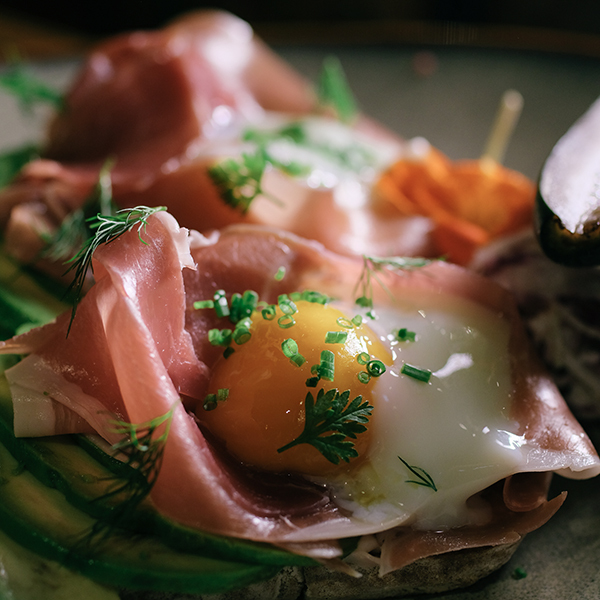 Dr. Fern's provides a selection of edible prescriptions such as, lunch-time sandwiches, bar bites and afternoon tea. In addition, Dr. Fern's also has an extensive coffee and tea selection, with signature caffeinated beverages such as the Popcorn Latte and Hand Drip Coffee, as well as a seasonal selection of botanical teas. 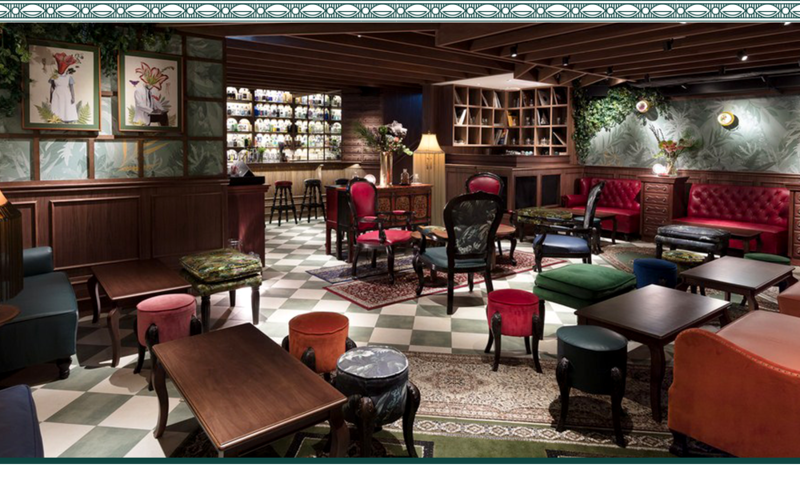 Dr. Fern’s serves afternoon tea which is updated seasonally, inspired by his favourite storybooks. Currently his latest afternoon tea rendition is reflected through his love for storybooks growing up. An avid reader of A Christmas Carol, the new “Winter Tea” is a nostalgic reminder of his childhood. Dr. Fern’s keeps it relevant with winter feels with Ricotta Toast, Carnaby Orange Cheesecake and more! 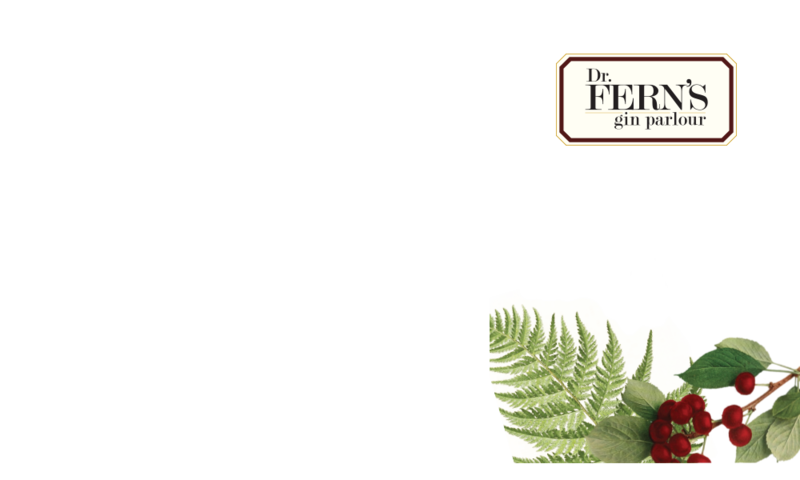 Dr. Fern’s will have daily concoctions and specials of gin based cocktails for all patients. Relative to his passion for botanicals, he tops many of his cocktails with his daily finds in the garden... so drop in for your daily check up. In an extra step to boost health immunity during the cold winter months, Dr. Fern has prepared a series of his first ever Vegetable Gin Cocktails to treat pesky ailments this winter. Each delicious cocktail has been carefully concocted with local botanicals and vegetables.